Welcome to Foodiddy. 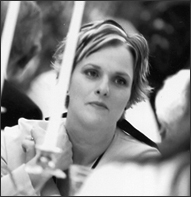 I’m Kathleen, a 48 year-old professional designer from Northern California with a passion for all things food. Foodiddy came about as a result of someone giving me the nickname years ago. I have the embroidered PJ’s and chef coat to prove it. A friend and I were sitting on the couch talking about doing something different with our blogs and ideas just started flying around. I’ve been blogging for 16 years, but knew it was time to reinvent myself. I went through a lot of really emotional stuff on my previous blog. The death of my husband, dealing with grief, dieting, food and exercise demons, meeting someone new, remarrying, etc. and it was time to move in a different direction from all of that. I wanted to be able to share this blog with everyone in my life. I’m going for a little lighter content… not complete Fluffy McFluff, but not spilling my guts out for the world to see either. It was time to dive back into my passion for cooking, living a healthy life and trying new things. I’m finally ready and I hope you enjoy following along on my adventures. Nice launch Foodiddy……..chip off the old block…….I wish. This is great reading….and the receipes look fun. Of course I recognize some of them from the past. Have fun with it and keep up the fun stuff. …. from a longtime fan – congrats on the new chapter – good for you! This is fantastic! I can’t wait to see more! Thanks for stopping by Denise! I just got back from vacation and finally got around to checking out your blog. It is great! I am sorry to hear that you have had health issues. Hope all is now well. Thanks Kim – feeling much better. Can’t wait for you to send some fabulous cocktail recipes. Popped over to your blog from Kapgar’s blog. Not sure how I have missed it before since I have been to almost all the blogs from his. Anyhoo, love the recipes I have seen so far. What I particularly love is the fact they are simple things anyone can make. I have been thinking of putting a few basic food type posts on mine but am too lazy for the photos and what not lol. Anyway, subscribing, and looking forward to the good eats to come! Hi Bob – thanks for stopping by. Food posts are fun, you should put some up on your blog. I’ve added you to my reader and look forward to future posts. What a great blog! You are very talented Kathleen…. I read your other blog for a long time and although I miss stopping by and catching up……… I’m so pleased for you starting anew! The photos are crisp and clear – just wonderful! I needed a bok choy recipe that wasn’t “asian”-inspired, and this was perfect! The photos really helped, and the dish turned out great! Thanks! Definitely a dish worth repeating! I am huge fan of Trader Joe’s Satue. I was going to post about it on my Facebook page and noticed your photos. I can snap photos of it the next time I buy a pack, but your photos (the one of the unopened package and the one showing the inside contents) are amazing. May I have permission to post those photos on my Facebook page and fully attribute to them? I have no commercial interests and will not benefit in any way from using your photos. I just want to share a good TJ’s items with my friends. However, I would never use someone’s else’s content without doing permission. Hi Geno! Thanks so much for asking for permission to use my photos. I appreciate your offer to link back to my blog, that’s all I ask. I’m addicted to TJ’s Sauté and get bummed when they are out. Glad you are a fellow fan. Enjoy and have fun spreading the word…veggies do rock! 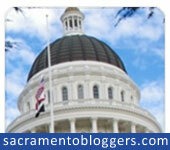 Kathleen, we loved your writeup of SactoMoFo 3. I hope you can make it to the fourth event, on April 21! Contact me if you need any details. I tripped over your blog accidently I too saw the Triple D episode with the turkey and brie turnovers and goggled to find a recipe. Lucky me I found you. I would have taken your recipe and moved on until I read your blog about loosing your spouse and getting remarried etc.. You just struck such a cord with me. I married for the first time at the age of 55. My husband passed away 26 months later. Robbed of my happily ever after I thought the worst of everything and everyone after that. But I met some one eventually and I am getting married in December. I’m going to make foodiddy a regular stop on my searches for wonderful food ideas.